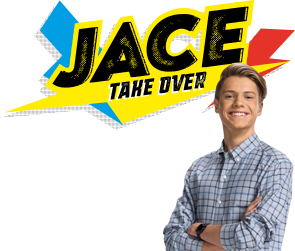 These are the terms and conditions (Terms and Conditions) governing use of the online “Code It” application (the Application) and the making of Submissions (as defined below) to Nickelodeon UK Limited of 17-29 Hawley Crescent, Camden, London, NW1 8TT (Nick UK) via the Application. All users of the Application agree to be bound by these Terms and Conditions. you must confirm that you have read and agreed to these Terms and Conditions and, if you are under 18 years of age, that you have obtained the consent of your parent/guardian to do so. Once an Account has been created, you will be required to log-in using your selected username and password each time you wish to use the Application, so please ensure you make a note of what these are so you can access your Account in future. Once logged-in to their Account, registered users of the Application (Users) can follow the directions given on the Website to create animations using the Application (Animation(s)). You can also use Animations previously created by other Users as a starting-point for your own Animations, by selecting one of the existing Animations in the Application gallery on the Website (Gallery). The Gallery can be accessed via the Community page in the Application. Users can also take coding challenges by accessing the problems featured on the Solve-It page. not be rude, obscene, defamatory or unsuitable for children and/or Nick UK’s purposes. Nick UK in its sole discretion shall determine whether an Animation is valid for Submission. Nick UK will select Submissions for display in Gallery at its sole discretion, and such selected Submissions shall remain on the Website for a period of time determined by Nick UK at its sole discretion. Nick UK is not obliged to use any Submission and may use or remove any Submission from the Gallery at its sole discretion. If you choose not to submit an Animation for inclusion in the Gallery, the Animation will still be saved so that you can return and edit it later. To revisit previously created Animations, just log-in to your Account and visit the Profile page. All Users under the age of 18 must obtain their parent’s/guardian’s consent before using the Application and making a Submission, including in respect of Nick UK’s use of and rights to the Submission and other Animations created. Submissions can only be submitted by permanent residents of UK and the Republic of Ireland. No User shall enter into any publicity concerning the Submissions without the prior consent of Nick UK. irrevocably agrees that the consideration shall be a full payment for the right to exploit the rights assigned under these Terms and Conditions and includes an equitable pre-payment for the right to exploit all lending and rental rights. Submissions will not be returned and will become the property of Nick UK. Nick UK does not receive confirmation of the User’s personal details and parental/guardian consent as may be requested within the time frames specified by Nick UK. Costs to submit a Submission via the internet may vary so please check with your network operator for current charges. Users should seek the permission of the person paying the bill before entering. Nick UK’s decision on all matters is final. No correspondence will be entered into. All changes to these Terms and Conditions will be posted at http://www.nick.co.uk/code-itterms. Nick UK shall not be liable for any delay in performing or partial or total failure to perform any of its obligations to a User under these Terms and Conditions if such delay or failure is caused by circumstances beyond Nick UK’s reasonable control. For the avoidance of doubt, the Users shall be solely liable for any additional costs incurred as a result. Nick UK shall not be liable to the Users for any loss or damage, including without limitation, loss of reputation, defamation, and/or invasion of privacy howsoever caused (whether in contract, tort or statutory duty or otherwise) arising out of or in connection with the use of the Application or submitting and subsequent display of a Submission, other than death or personal injury caused by negligence of Nick UK and/or Nick UK’s personnel and/or deceit or fraud by Nick UK and/or Nick UK’s personnel. No responsibility can be accepted for Submissions lost, delayed, misdirected, damaged or undelivered. Incomplete, inaudible and/or illegible Submissions will be disqualified. Nick UK shall not be responsible for technical errors in telecommunications networks, internet access or otherwise preventing use of the Application. By submitting a Submission, Users acknowledge that they may be required to be used in publicity without further consent or payment. Such publicity may include without limitation the User’s name and/or likeness, voice, photographs and/or video footage of the User, biographical information provided by the User and/or any statement made by them concerning the Application and/or any element thereof. Users agree that such publicity may be used by Nick UK in any and all media in perpetuity throughout the world as Nick UK in its sole discretion sees fit. Personal information collected from Users will be used by Nick UK solely in connection with the Application and will not be disclosed to any third party except for the purpose of operating the Application. Users agree to be bound by these Terms and Conditions. Users may at any stage upon Nick UK’s request be required to provide a written acknowledgement of these Terms and Conditions. These Terms and Conditions shall be governed by and construed in accordance with the laws of England and the courts of England shall have exclusive jurisdiction in relation to any disputes arising therefrom.